The southern lowlands of Papua New Guinea (PNG) are biogeographically distinct. Vast tracts of savanna vegetation occur there and yet most palaeoecological studies have focused on highlands and/or forest environments. Greater focus on long-term lowland environments provides a rare opportunity to understand and promote the significance of local and regional savannas, ultimately allowing non-forested and forested ecosystem dynamics to be compared. This paper examines palaeoecological and archaeological data from a lowland open savanna site situated on the south-central PNG coastline. The methods used incorporate pollen and micro-charcoal analyses, artefact recovery and sediment descriptions. 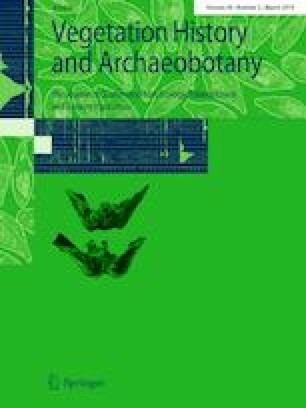 We conclude with an environmental model of sedimentation and vegetation change for the past c. 5,800 years, revealing a mid to late Holocene savanna interchange between herbaceous and woody plant growth, with fluctuating fire occurrence increasing toward the present day. Increased silt deposition and modified regional hydrology are also recorded. Environmental changes correspond in timing with the start of permanent settlements and human use of fire. In particular, landscape burning for hunting and gardens for agriculture have helped create the open ecosystem still evident today. This research was conducted by the Australian Research Council (ARC) Centre of Excellence for Australian Biodiversity and Heritage (CE170100015). Warm thanks to the people of Porebada, Boera, Papa and Lealea for their field assistance and local insights into the Caution Bay environment. Thanks to Laura Bates, Sean Connaughton, Jeanie Maingu, Lesley Muke, Matilda Kopunye and Stanley Kuri for assistance with fieldwork and to Alan Hogg (Waikato Radiocarbon Dating Laboratory) for assistance with radiocarbon determinations. The assistance received from the PNG National Museum and Art Gallery is gratefully acknowledged. Within the College of Arts, Society and Education (James Cook University), thanks to Helene Peck and Cailey Maclaurin for their laboratory processing of shell materials and to Michael Bird for draft comments. Within Monash University, thanks to Ursula Pietrzak for laboratory advice and Kara Rasmanis for drafting the figures. We further thank Laureate FL140100044 (What is Natural? Humans megafauna and climate in northern Australia) for support during the writing up of the results. SU is the recipient of an Australian Research Council Future Fellowship (Project number FT120100656). Both James Cook University and Monash University provided institutional support throughout this research.